A gamebook is a fictional adventure with branching story lines in which the reader is the protagonist making decisions. Gamebooks are similar to the well known "Choose Your Own Adventure" series of books, in that the reader navigates a collection of text segments that "hyperlink" to one another, resulting in divergent paths through the story dependent on the reader's choices. Most gamebooks expand upon the "Choose Your Own Adventure" model by borrowing some mechanics from pen and paper roll playing games in a simplified form. Typically a character sheet is rolled with a few stats, many times an inventory system is employed, and often there is a basic combat system usually involving dice rolls modified by character statistics and gear. Instead of reading a text segment, then making a decision and turning to the corresponding result passage for that choice, the reader might encounter segments that instruct him or her to roll dice for a saving throw, to avoid or conduct combat, or similar rpg tropes. Often the characters stats or inventory items will apply modifiers to these dice rolls. Then the result of this event will determine which passage the reader advances to, as opposed to the reader deciding. With the popularity of mobile devices, a few companies have started making digital implementations of both classic and newly created adventure game books. At minimum, the digital format is leveraged for convenience features such as automated character sheet tracking and combat via simulated RNG dice rolls. Most of the publishers of these digital versions go further by adding bookmarking and other ebook style features, atmospheric sound, extra/alternative art, achievements, and other features made possible by technology. 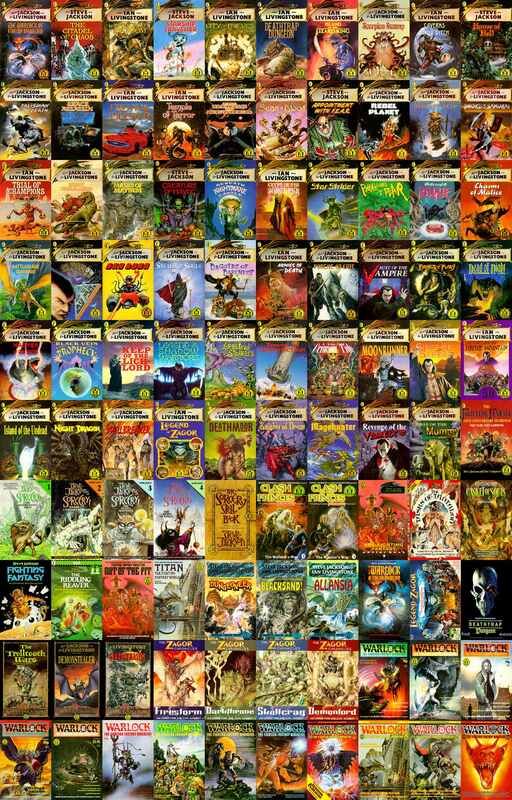 Tin Man Games has been on the forefront of digital gamebooks and is the most prolific of publishers thus far, releasing digital gamebooks from the classic Fighting Fantasy series, their own Gamebook Adventures series, as well as many others. Inkle Studios have expanded the gamebook concept in innovative and fascinating ways by adding interactive visual elements and open world style freedom of exploration in the title 80 Days and in the Sorcery! series. Additionally several smaller and independent publishers have entered the fray with releases on the Google Play store.